Following a brief introduction called ”Awakening”, the actual program begins with a pulsating funky jazz number, ”The Spirit Wheel”, played as a quintet with Jean-Paul on guitar and various special effect devices, his brother Carl Bourelly on keyboards, Joe Bowie on trombone, Talamacus on bass and Dennis Chambers on drums. This piece gets things heated up right from the start and shows the direction for the whole album: funky jazz-rock with a lot of rock and elements from drum & bass. ”Cool Papa N’Diaye”, with nine musicians including four wind instrument players and a very varied arrangement, is the first number with Abdourahmane Diop, whose traditional songs provide a contrast to the rest of the music. Diop’s singing is the center and focal point in the next piece, ”Fatima,” an avant-garde number with a heavy rock influence and Zappa-like guitar work. ”Blowin' Omni” lives from its fiery rhythm and African flair, which are continued and developed further in ”Pluto Lounge” and find their style-overlapping culmination in ”Thierno De Conakay”. After a brief intermezzo from Carl Bourelly (”The Scent of The Healer”), the CD takes off into space. ”Harmofunkalodica” and ”Trance Atlantic” are two rock-like excursions into weightlessness and the musical universe with exhilarating and pulsating rhythms. ”Traffic” and ”Freedom Delta” provide pure funk-jazz of the finest quality once again. “Boom Bop II” is a cross-border project, which links various cultures and always keeps the future development of music in sight. 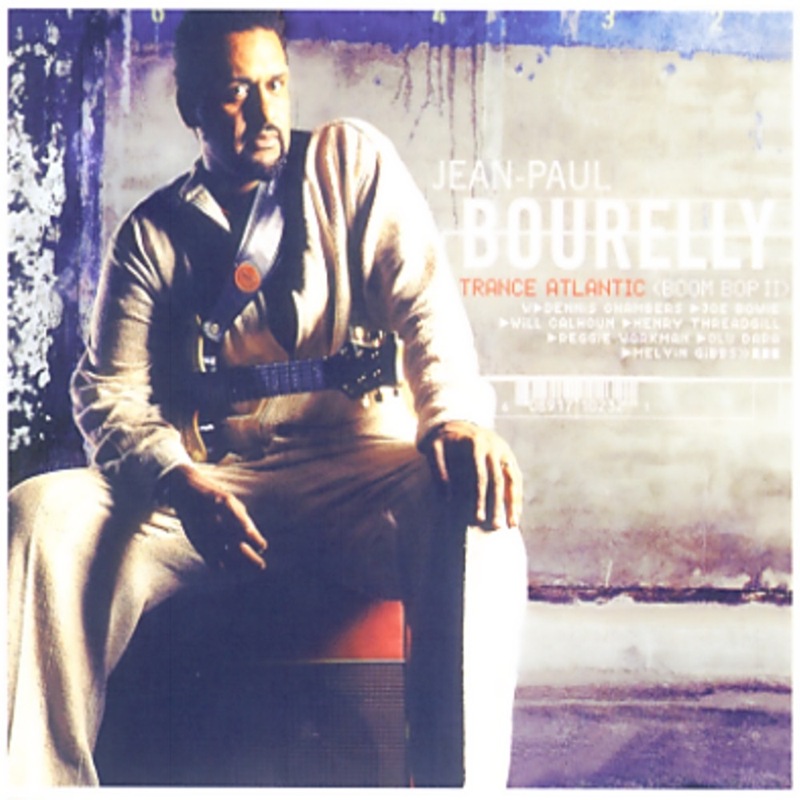 Jean-Paul Bourelly has surpassed even himself with his new album. Daring fusions and sophisticated compositions between jazz, rock, psychedelic funk and Afro-blues again demonstrate his never-ending search for new developments in music. They show a Jean-Paul Bourelly, who never tires of seeking the innovative. ”Boom Bop II” is a very successful further development of his multiple-style project. Jean-Paul Bourelly presents with ”Boom Bop II” the follow-up CD to his successful album of last year. ”A promising liaison for the future” the magazine MUSIKEXPRESS/SOUNDS praised the first ”Boom Bop” album, calling it a liaison of loops and samples, drum & bass, fusion, rock, jazz and African vocals.